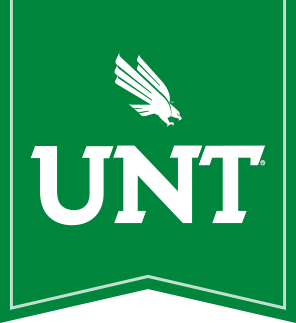 The UNT Writing Center provides support for undergraduate and graduate writers across the disciplines. Our mission is to help students at all levels improve as writers. Here are some frequently asked questions about what we do and how to use our services. Who Should Use the Writing Center? Everyone! We believe that all writers will benefit from sharing their work with a tutor. Whether you are an undergraduate student writing your first college paper or a graduate student working on a dissertation, we can help. In addition to helping with coursework, we can also help with resumés, cover letters, and personal statements. We are excited to work with writers in the humanities and social sciences as well as writers in the physical and biological sciences. We also work with short and long writing projects at any stage. Who Are the Writing Center Tutors? We have highly skilled undergraduate tutors from many different majors who were selected for their strong writing ability and their desire to help their peers. Tutors receive initial and ongoing training in writing genres, citation conventions, facilitating discussion, and assessing drafts. We also have graduate-writing tutors who work exclusively with graduate students. Appointments for undergraduates are 30 minutes long. Graduate appointments are one hour if scheduled with a graduate tutor. Your tutor will want to start by chatting with you about your assignment or writing project. If you have a draft, the tutor will want to go over it to get a sense of the paper as a whole. You and your tutor will decide together what to focus on in terms of revision. Please bring the assignment instructions, if you have them. Bring a draft, or we can help you brainstorm or start an outline. We have a few computers in our main center for use during appointments, and you are always welcome to bring a laptop. Where and How Can I Get Tutoring? Our main center in Sage Hall 150 is appointment only, though during slower times of the semester or when we have cancellations, you may be able to get in right away. Stop by or call 940.565.2563 to schedule an appointment. Our hours are from 9:00 a.m. - 9:00 p.m., Monday - Thursday, and from 9:00 a.m. - 3:00 p.m. on Fridays. We offer evening walk-ins at Willis Library, Sunday - Thursday, from 5:00 p.m. to 9:00 p.m. You can stop by at 5:00 p.m., when the tutor arrives, to sign up for a slot that night--walk-ins are first come, first served. Discovery Park Library tutoring is for graduate students in Engineering only. Please e-mail WritingCenter-DP@unt.edu for more information. Monday: 9:30 a.m. - 1:30 p.m.
Tuesday: 2 p.m. - 6 p.m.
Wednesday: 10 a.m. - 2 p.m.
Thursday: 2:30 p.m. - 6:30 p.m.
All students may have up to 1 hour of instruction total per day, i.e., one 30-minute appointment in the main center and a 30-minute appointment in the library, or two 30-minute appointments in the main center (not back-to-back). Graduate students working with our graduate tutors can schedule 1 hour of instruction per week, either online or in-person. Do You Have Online Appointments? Yes! We have interactive online appointments in our main center from 9:00 a.m. - 9:00 p.m., Monday - Thursday, and from 9:00 p.m. - 3:00 p.m. on Fridays. Please call 940.565.2563 or e-mail us at WritingCenter@unt.edu to schedule an online appointment. Our graduate tutors also offer online appointments for graduate students. E-mail GradWriting@unt.edu to schedule an online appointment. How Can I Make the Most of My Appointments? Will You Be Able to Read My Whole Paper? Please keep in mind that if you have a long draft or a complex project, we are not likely to get through all of it in one appointment. During an in-person session, you can generally expect to work on about five pages, though this varies. For online appointments, it usually takes longer to get through the same draft versus in-person (i.e., it may take an hour to work in detail on a five-page draft), so please plan accordingly.